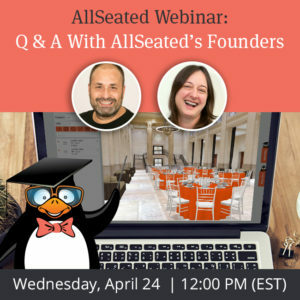 You don’t want to miss tomorrow’s webinar! Every business can use a little more good publicity. Please join us for this special 30 minute free webinar presentation where a PR pro will fill you in on all the insider secrets you need to get publicity for your business! 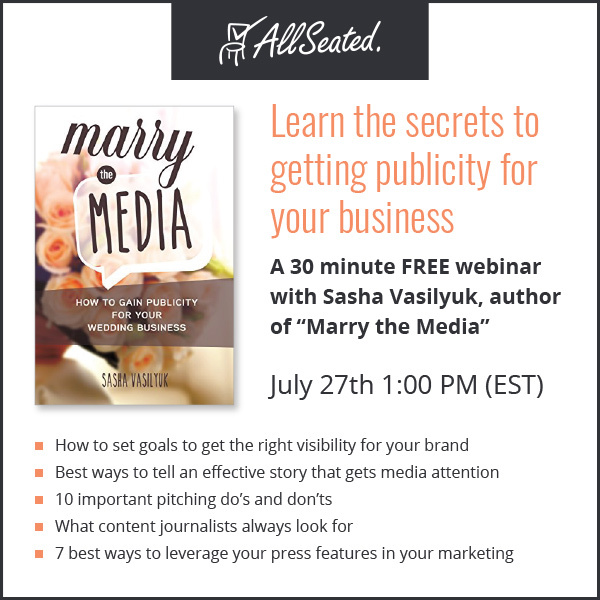 On Wednesday, July 27th at 1:00 pm (EST) please join us along with Sasha Vasilyuk, the founder of wedding public relations agency I DO PR and the author of newly released book Marry the Media: How to Gain Publicity for Your Wedding Business. 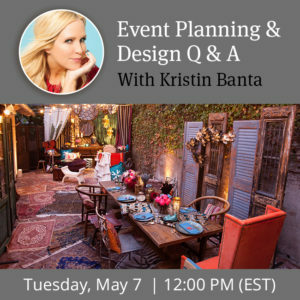 In this information-packed webinar, Sasha will discuss setting goals to get the right visibility for your brand, the best ways to tell an effective story how to get media attention and so much more! Learn the important do’s and don’t to pitching, what content journalists are always looking for and the best ways to leverage your press features in your marketing strategies. Sign up via this link! Sasha Vasilyuk is the CEO of I DO PR, a strategic public relations agency that helps wedding and lifestyle brands connect with the media. She has consulted for HoneyBook, Weddington Way, AllSeated, Best Buy, Virginia Tourism Authority and many other brands. 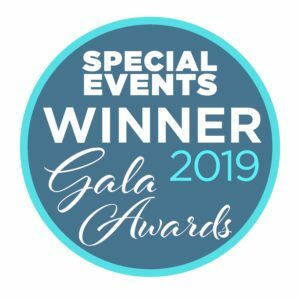 Sasha is also an award-winning journalist and the author of the ultimate wedding PR book “Marry the Media: How to Gain Publicity for Your Wedding Business”.